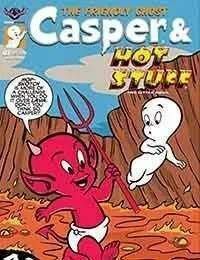 Everyones favorite little devil and friendly ghost are together again in the classic series Casper And... Artist Eric Shanower (The Wonderful Wizard of Oz) delivers his first Casper and Hot Stuff art and it is outright fantastic! These are fun new stories done in the classic Harvey style. Make a new ghostly friend with us and this issue of Casper And!